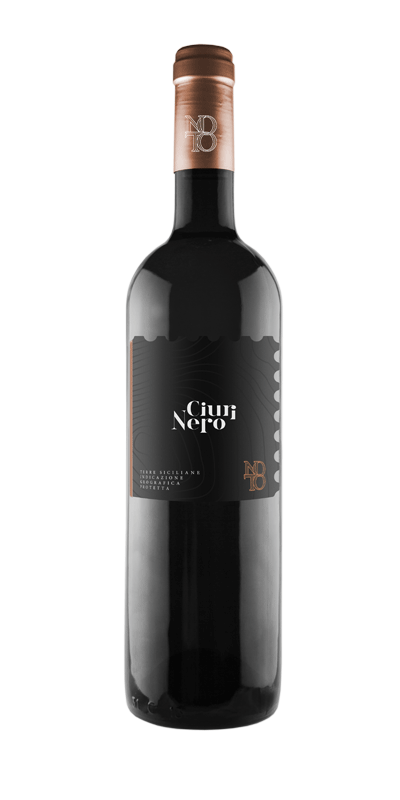 Grapes of extraordinary personality and tradition, such as the powerful and elegant black grape Nero D’Avola completed to obtain a ruby red wine with a with purplish hues. Color ruby red with violet glints. Smell enhances varietal hints of black pepper and red fruits as strawberry and cherry. Palate shows a good tannin content and saltiness. In red with partial cold maceration of grapes followed by 10-12 days of fermentation and maceration on skins. In steel tank for 4 months, than six months in tonneaux. Short refinement in bottle.